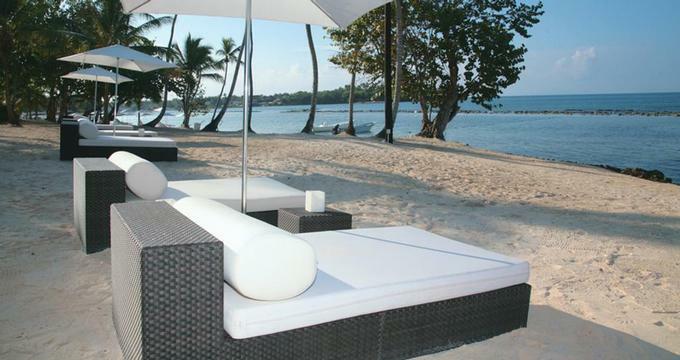 Casa de Campo is a 7,000-acre Caribbean beach resort located on the southeastern coast of the Dominican Republic. Plan golf on three great golf courses, relax at the spa and stay in a luxury villa. The unique set of facilities and exceptional services at the resort are cherished by guests of all ages coming from around the world. Ask for a room with a view of the Caribbean sea. All rooms and villas have modern comforts and five-star hotel conveniences. Guest room categories include elite balcony, elite patio and elite suite. The spacious 37 classic villas, 16 exclusive villas and 5 oceanfront villas all overlook the Caribbean Sea. Traditional Dominican Republic cuisine along with local entertainment are offered at the Lago Grill. The Beach Club serves great grilled dishes. La Cana by Il Circo serves light dishes, perfect for the tropics. Build your own sandwich and enjoy views of the golf course and the Caribbean Sea at The 19 Hole Bar. Refreshing cool mid-day drinks or cocktails are served at the La Cana Bar & Lounge. Release all worries from your mind and body with the tropical essences and organic elixirs at the Spa which is there to restore your body's vitality through ancient remedies and modern treatment techniques. Choose from 3 championship golf courses with dramatic sea views. Teeth of the Dog is ranked number one course in the Caribbean and 43rd in the world. The Links offers with its undulating hills and lagoons. The Dye Fore is set on craggy mountains and cliffs with views of the Caribbean Sea and the resort. The hotel offers four kids' programs for different ages: Toddlers N' Casa, Lidz N' Casa, Casa Tweens and Bonche 4 Teens. Each club has specific activities fit for kids belonging to that age group. Families can go on sight-seeing excursions, play tennis, ride at the equestrian center and visit the shooting range. At La Marina, there is a shopping mall, sailing school and a yacht club. Meeting facilities include two state-of-the-art conference centers, a ballroom, boardrooms, an outdoor courtyard space and a 5,000 seat amphitheater. Countless other unique locations can be configured for intimate gatherings as small as 10 guests or gatherings of 500 or more. Rooms start at $345 per night.